My big project at work is done and I’m finally back. It was awesome and I learned so much from the experience. I’m only not giving details to protect the privacy of my school and my students. I have a long history of suggesting books I know A-Read will love and being right. So when I couldn’t get him past page 7 of another recommendation recently, I was devastated. Based on my suggestion, he loved When You Reach Me, the Fablehaven series, The Graveyard Book, and countless others. So I handed him a fantasy full of adventure, mystery, and myths that I had just finished, convinced he’d love it as much as I did. But…the day after he started the book, he received two other books for his birthday. A Minecraft fictionalization and the next book in a series he’s been wanting to read for a while but wasn’t available at our library (and we hadn’t yet gotten around to looking for it at our local indie). Despite how much I know he’ll love this book, it couldn’t compete. Now, I have a rule about what books I read when. I always read library books before books I own because there’s a deadline involved. But I’m an adult who can rationalize and mostly do what’s right no matter how great the temptation. Apparently A-Read hasn’t matured to that point yet. He is only 11. So, one night I went into his room to say goodnight and found him reading…the WRONG book. Voice of Reason: That other book has to go back to the library soon. A-Read: I didn’t really like it. Voice of Rea–: What?! Why not?! How could you not like it?! I discover he’s only on page 7. Voice of Reason: You didn’t give it much of a chance. A-Read: (shrugs) I just couldn’t get into it. Sorry. I gave in. Of course. I can’t force him to read it. Even though a small part of me wanted to. I had no trouble being hooked by page 7. Again, I’m an adult. Big sigh. Instead, I told him maybe he wasn’t ready for it and we could try again in a year. (The main character was 13 and some of the action was pretty grown-up.) He looked relieved. Now, I didn’t write this book I tried pushing on him. However, I loved it and just knew he would too. So I took his rejection personally. Do you get that way over book recommendations? Do you feel rejected on behalf of the book if the person you’ve suggested it to won’t read it? On the other side, Sprout never reads anything I suggest unless he already knows the book from his brother or his friends and has already decided to read it. He doesn’t let me influence him at all. I guess I take that a little personally, too. I’ve had a lot going on with my day job, which isn’t going to let up until June (but there is an end! ), and I have some freelance projects due. So, when something has to give, it’s the blog. I will have some posts throughout May, but I may not get to leave comments for you in return. I will be back eventually – I promise. 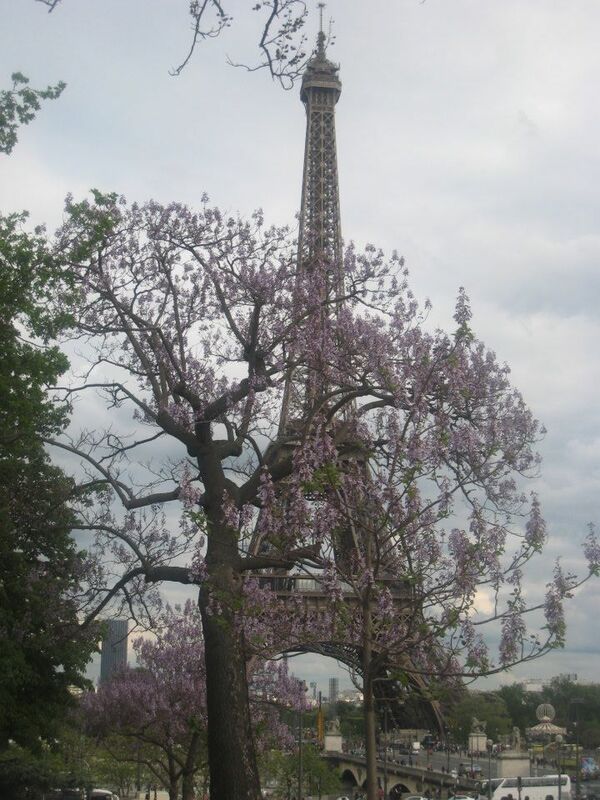 In June 2010 I blogged here about some of my memories of Paris. These memories were brought to the surface by the revision of one of my novels set in Paris. Since I’m currently immersed in French for most of the day, it felt right to share this again. When I was about 18 years old, I spent the summer in Paris, working at a software company in the 8th arrondissement. I lived in a dorm room at the American House of the Cité Universitaire in the 14th arrondissement. Every morning I would take the RER B train into the middle of Paris and change to the metro to get to work. Every evening I would take the bus home with my new friend Mireille. She was the bookkeeper at the software company. The boss didn’t know what else to do with me, so he decided I would work with Mireille, who was three years older than me and didn’t speak English. Because of her I not only became fluent by the middle of the summer, but she made me add up long columns of numbers on an adding machine while saying each number out loud in French. I’m awesome with French numbers. Mireille also taught me many “rude” phrases. She told her mother she taught me those words so I would understand them if anyone said them to me. She didn’t want me smiling at a guy who told me to f*** off. It was actually my reading that led to the lessons in French slang. I had raided my uncle’s bookshelves and picked out all kinds of books in French – mostly not by French authors. For example, I read Agatha Christie and Hemingway translations. For Whom the Bell Tolls was quite challenging. And many words I read I couldn’t find in my French-English dictionary. So I’d bring them to Mireille. Who would laugh. Then she’d explain. She would also laugh anytime I made a mistake. Like if I used the wrong French word for hair (there are different words for the hair on your head – cheveux – and the hair on your body – poils). She would laugh hysterically, and I would get upset. Once she wiped the tears from her eyes, she would tell me what I said wrong. “Why can’t you just correct my mistake without making fun of me?” I asked her. “Well, you’ll never make that mistake again, will you?” she replied, still laughing. She had a point. And she was right. I don’t parent that way, and I don’t laugh at my students, but there is value in this technique. Mistakes that have embarrassed me stick in my head and will never happen again. 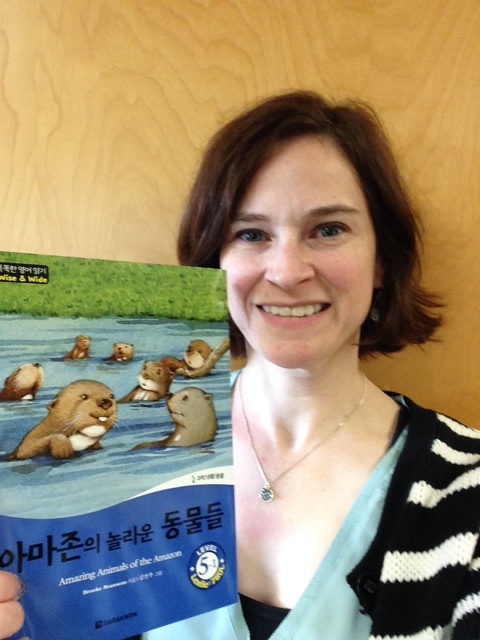 Just like life in general and learning a foreign language, writing is a learning process. I’ve made mistakes – querying a manuscript too soon, not getting enough distance from a manuscript before revising, among others – and I’ve learned from my rejections, however painful. And I will never, ever tell someone on the Paris metro that I like her poils. What writing mistakes have you learned from recently? Since I shared A-Read’s current reading list a few weeks ago, today I’ll update you on my 7-year-old, Sprite. This has really been his year of reading. He finally got to try some of the books he saw his big brother reading and that he’d been coveting for years. In the past few months he has read the first 4 (of 5) of the Percy Jackson books by Rick Riordan, and 3 of the Diary of a Wimpy Kid books by Jeff Kinney. He currently can’t quite get his nose out of the 2nd Harry Potter book. He’s especially in a rush to finish it since he learned I won’t allow him to watch the movie until he finishes. 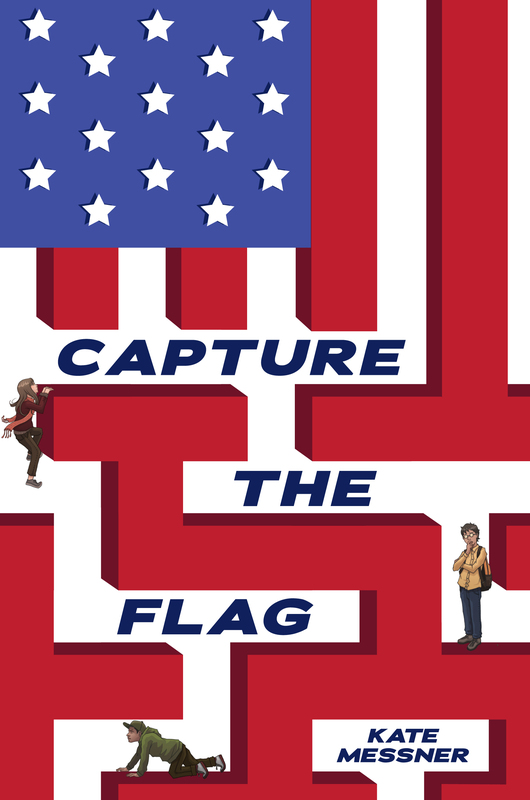 Author Kate Messner visited his school recently and he got an autographed copy of Capture the Flag. He’s very excited to start reading it. He’s in a wonderful stage of discovery. His reading habits aren’t as set as his brother’s, but he’s actually pickier. If he loves a book, he’ll read it constantly, but if he isn’t very interested, he won’t touch it. What are some of your favorite books for an ambitious early middle grade reader?